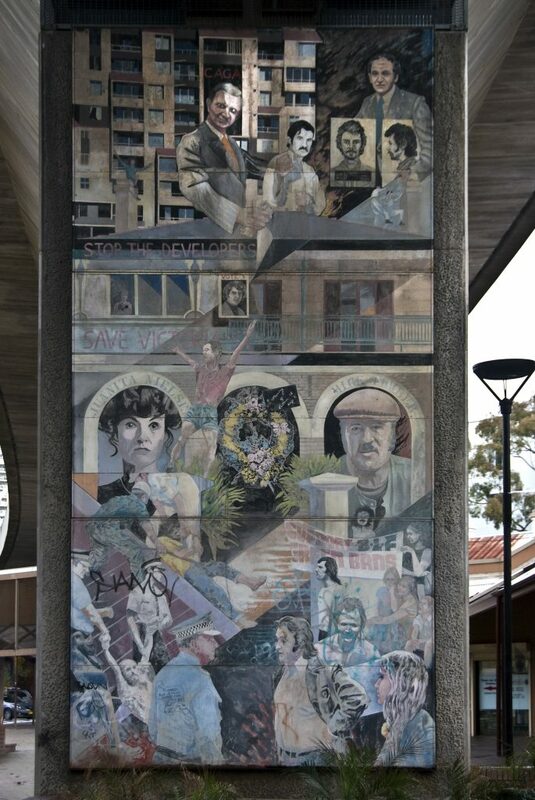 Victoria Street is one of eight murals painted on the railway pylons at Woolloomooloo, celebrating the history and people of this suburb. 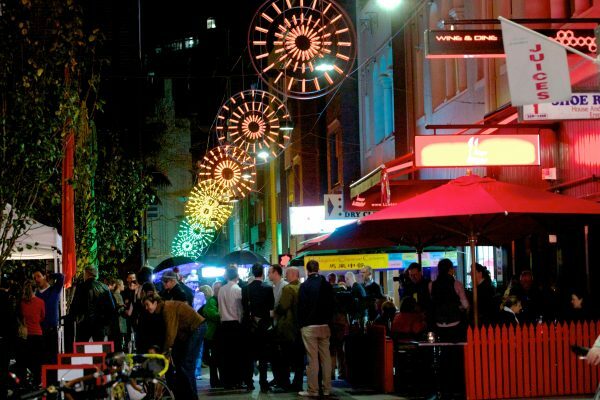 It tells the story of residents’ fight to save Victoria St from developers. Ultimately, a battle they did not win. The upper part of this artwork is dominated by the figures of developer Frank Theeman and crime boss Abe Saffron – men who would stop at nothing to get their way. In one week in April 1973, Theeman evicted 393 people from properties in Victoria St, where some had lived for more than 40 years. Those who remained to resist Theeman’s plans faced harassment and forcible eviction, by thugs armed with crowbars and hammers. Despite Theeman’s brutal tactics, they did not give in lightly. 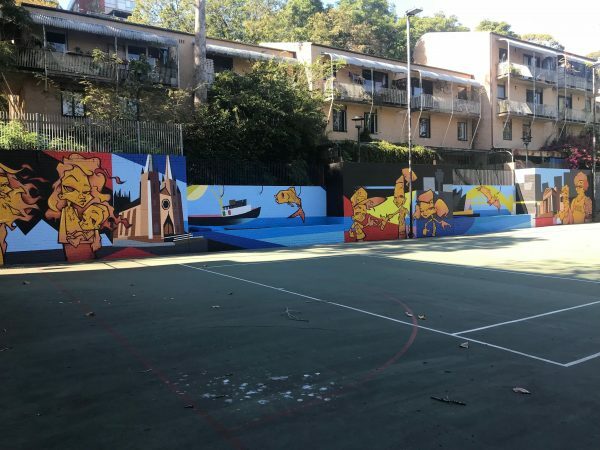 The rest of the mural is dedicated to the men and women who refused to be scared from their homes, and those who led the fierce but doomed fight for Victoria St. 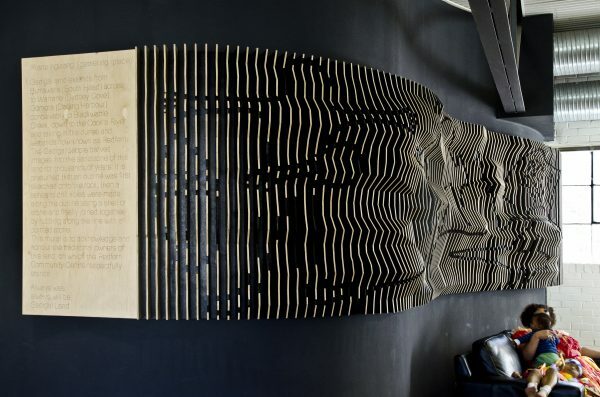 The artwork celebrates the courage and resolve of local legends like Mark Fowler. He was the last man to be forced out by Theeman. It also shows Juanita Nielsen, who paid for her defiance with her life. Juanita disappeared in 1975, and was alleged to have been abducted and murdered by one of Saffron’s men. 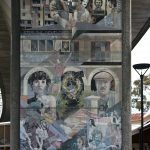 A close look at the mural reveals fascinating details of the residents’ resistance – from the vital support of the NSW Builders Labourers’ Federation, to the last-ditch protest of resident squatters, who spent 17 hours perched on the chimneys of 115 Victoria St before they were arrested and taken away. 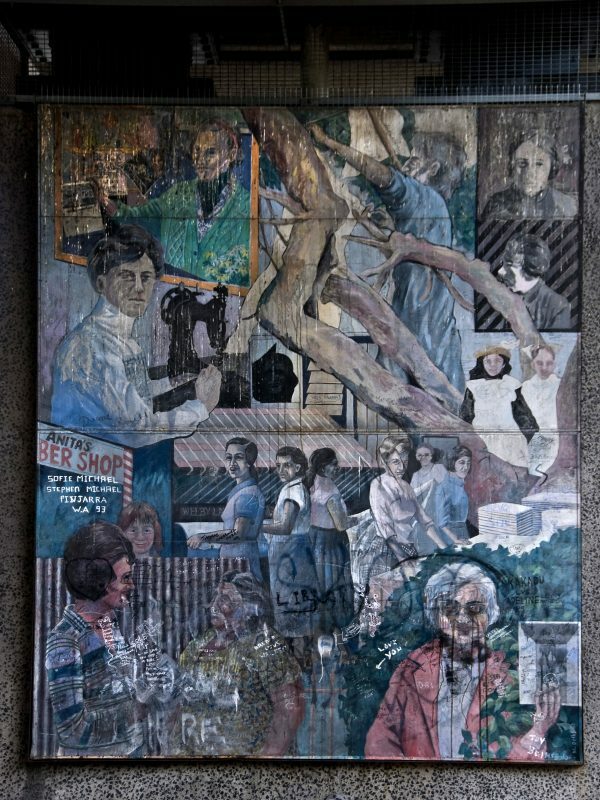 Although Victoria St was lost, the story of its residents’ brave battle lives on – in proud local memory, and in this commemorative artwork.